The Báb, Whose title means “the Gate” in Arabic, is the Forerunner of the Bahá’í Faith. The Báb’s mission was to usher humanity to a new period in its collective transformation and to pave the way to Bahá’u’lláh: ‘He Whom God Shall Make Manifest’. All throughout His divine mission, the Báb prepared His followers to the coming Bahá’u’lláh. The Báb’s Ministry lasted for six years—He was executed in 1850. Bahá'u'lláh, Founder of the Bahá’í Faith, teaches that there is one God Whose essence is above our understanding. He is the Maker of everything, and although we may call Him by many names—God or Yahweh, Allah, Brahma, Bathala or the Great Spirit—we are speaking about the same ennobling Omnipresence that has helped and trained people right through history. Because He loves His creation, God has revealed Himself to humankind through a string of Divine Messengers that bring teachings to deal with the needs and condition of humanity. People may know them by manifold names, such as Abraham, Moses, Buddha, Zoroaster, Jesus, and Muhammad, yet they all reflect the same celestial purpose. These Messengers are the chief educators of mankind and assist it to progress materially and spiritually. The pivotal principle of the Bahá’í Faith is to unite all races and peoples in one universal Cause. Believing in the oneness of humanity demands a rooting out of all forms of prejudice and inequality, it elevates the need for all relationships and systems to be grounded in cooperation and reciprocal help. Bahá'u'lláh teaches that every person is a unique soul that must have a place in the headway of society. 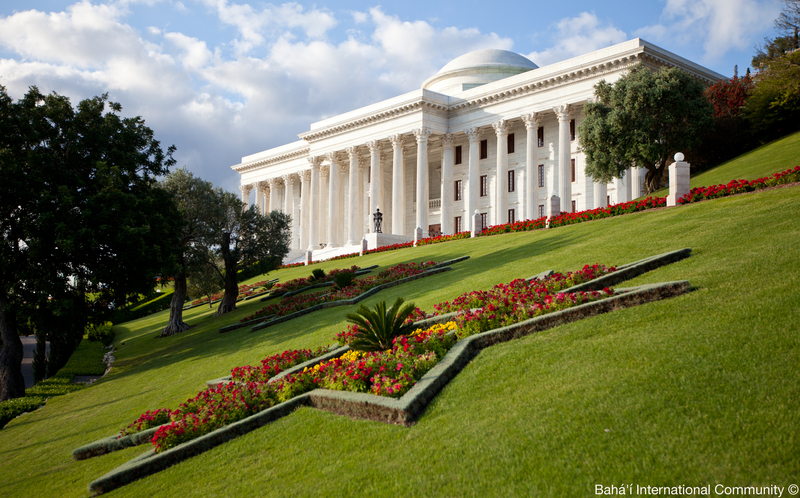 Bahá'u'lláh was born in 1817 in Tehran City, the capital of what is now Iran. He came from a noble family, and was known for His generosity, compassion, keen intelligence, and devotion to justice. In the middle of the 19th century, Bahá’u’lláh arose to proclaim a new revelation from God and declare the vision of His Cause. As Bahá'u'lláh began to share the new message entrusted to Him, He was rejected by the ruling elite, imprisoned, tortured, and banished from His homeland. A series of harsh exiles brought Bahá'u'lláh to what is now modern-day Israel, where, although still a prisoner, He continued throughout His life to reveal the Word of God enunciated through mystical writings, laws and ordinances, and social and ethical precepts. In His will and testament, Bahá’u’lláh established a covenant with those that followed Him and asserted clearly that all Bahá’ís should turn to His oldest son, ‘Abdu’l-Bahá, for guidance and interpretation of His teachings. ‘Abdu’l-Bahá was His Father’s most devoted companion during the long years of tribulation. In 1911, at the age of 68, ‘Abdu’l-Bahá embarked on a series of historic journeys across Europe and North America, conveying His Father’s Faith to the West. Until His passing in 1921, ‘Abdu'l-Bahá unceasingly inspired and encouraged the Bahá'ís and everyone He met to live a practical, spiritual life of humility, generosity, and unconditional love. In ‘Abdu'l-Bahá people find the perfect example of what it means to be a Bahá’í. At His passing, ‘Abdu’l-Bahá named His grandson, Shoghi Effendi, as the guardian and authorized interpreter of the teachings of Bahá'u'lláh, to ensure the unity of the new Faith, . Under his guidance, the framework for the election of the Universal House of Justice was formed. It is this institution that today guides the worldwide Bahá’í community to contribute to revivification of the world. The Universal House of Justice is a nine-member body, elected every five years by the entire membership of all national Bahá’í assemblies. Bahá’u’lláh conferred divine authority upon the Universal House of Justice to exert a positive influence on the welfare of humankind, promote education, peace and global prosperity, and safeguard human honor and the position of religion. It is charged with applying the Bahá’í teachings to the requirements of an ever-evolving society and is thus empowered to legislate on matters not explicitly covered in the Faith’s Sacred Texts.